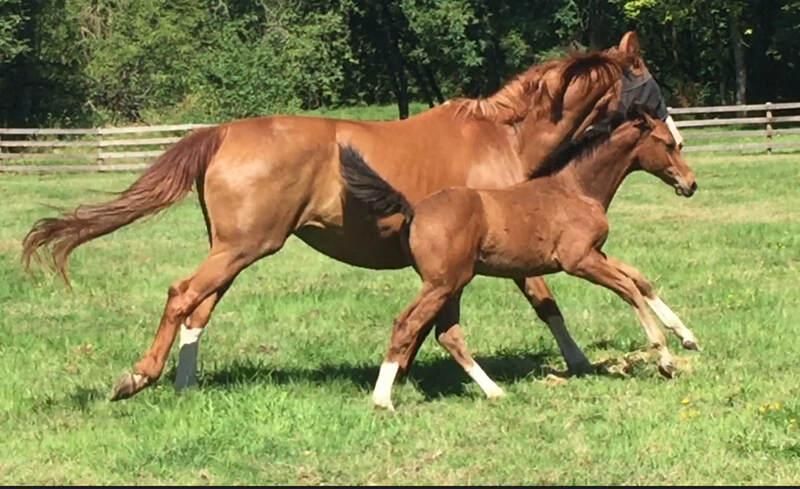 We are breeding the finest imported Hanoverian horses for both dressage, hunters and jumpers..
TMD is proud to welcome "Delicieuse VF", daughter of State's Premium Mare, Walina by Dolany (Donnerhall/Cor De La Breyere). 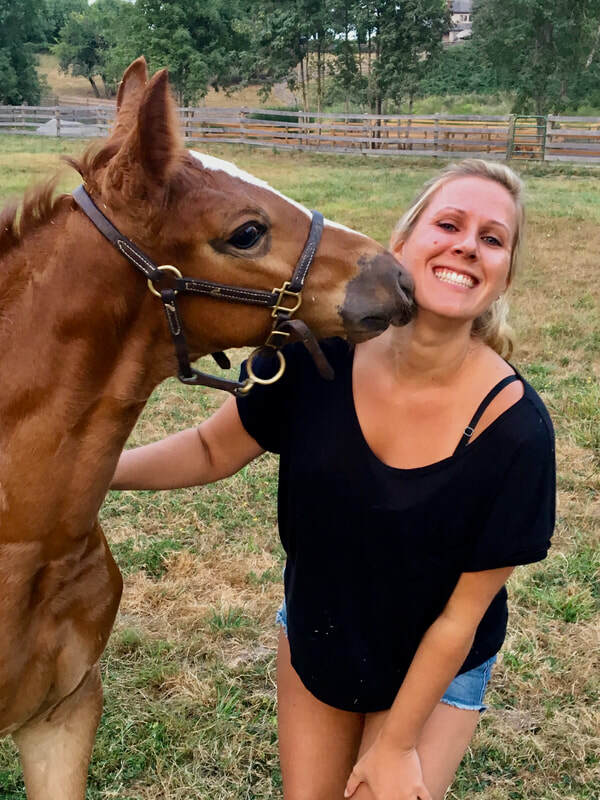 Congratulations to Amber Allen on the purchase of this extraordinary filly. 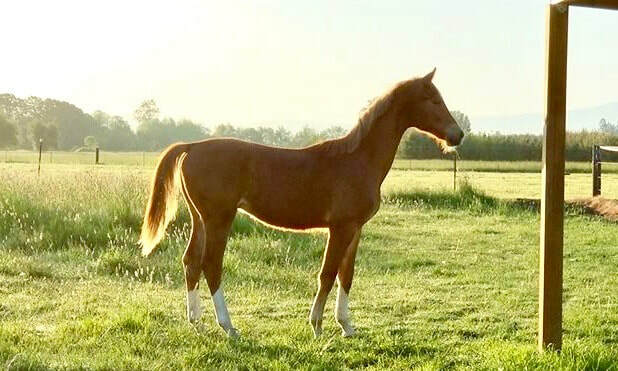 Don Ryan VF- 2016 Imported Hanoverian Colt. Stunning mover, 3 excellent gaits. Don Darius/ SPS Walina. Available for breeding. Price on request. Ghia, Tom & Denira at the Hanoverian Inspection. CARNAVAL DO RETIRO – (located in Canby, Or.) is a 12 yr old Lusitano gelding imported from Brazil. His sire is the Olympian stallion Relampago Do Retiro. He is schooling 3rd Level dressage with some 4th and Prix St. Georges movements. He has been correctly trained to be ridden off the seat. 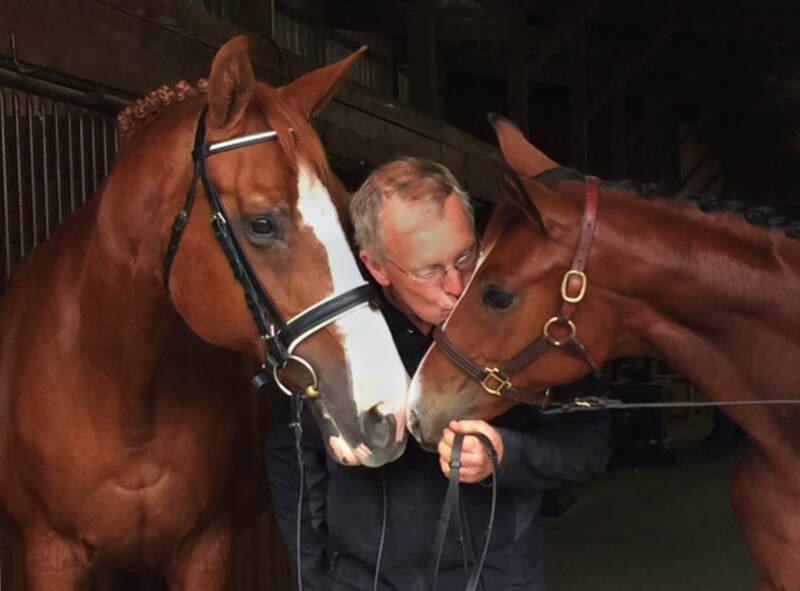 He is forward thinking, sensitive, has 3 good gaits, likes to show off his talents. He would be best suited for a confident amateur. He bonds with his human partner, loads, clips, ties and is easy to work with. He goes out on the trail. 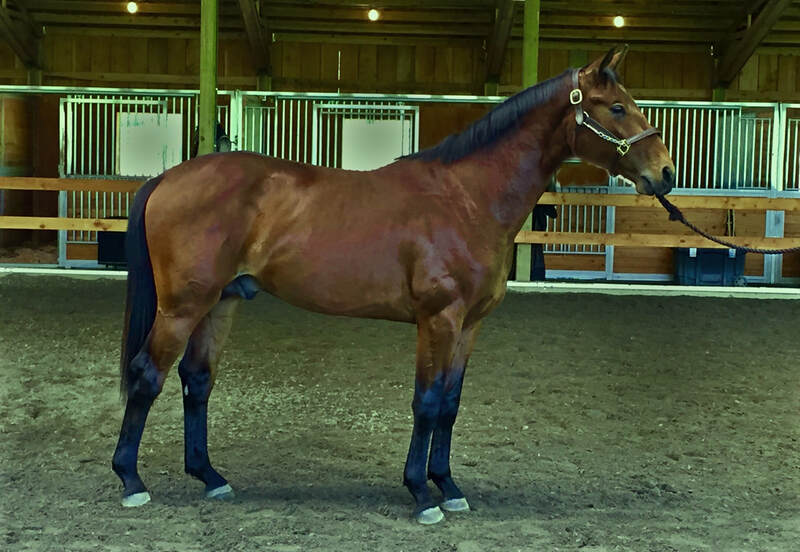 He is being offered at this reduced price to a suitable home because of a strained suspensory, which he has been treated for and is completely sound. (Vet reports will be made available to serious buyers). Offered at $15k to approved home. 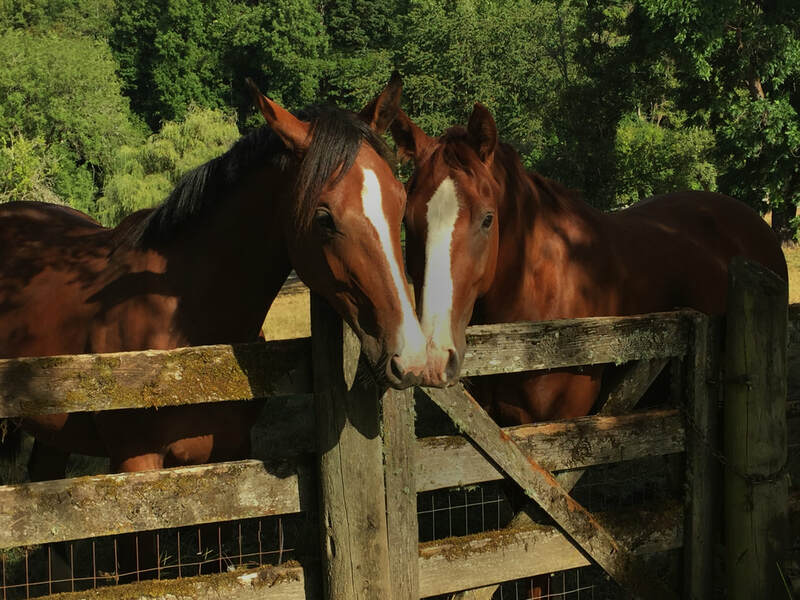 Denira & Willit; pasture pals.